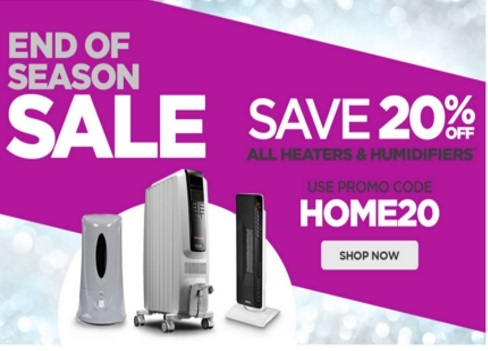 The Shopping Channel is having an End of Season Sale with 20% Off Heaters & Humidifiers! Scroll near the bottom at the link below to see this promotion. Enter the promo code HOME20 at checkout. Offer ends April 14, 2016 at 9:59pm ET.